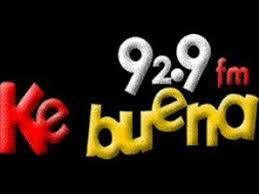 La Ke Buena 92.9 Mexico en Vivo . Broadcasting on 92.9 MHz, this FM broadcasts grupera music and is the flagship of a network of stations with the same branding and format. Address : Tlalpan No. 3000, Col. Espartaco, Coyoacán, México D.F. 04870 , (55) 5166-8929 .